Rochester, MN (KROC AM News) - Monday marks the beginning of a new month - which means it will cost you more if you get a parking ticket in Rochester. For the first time in more than 20 years, the city has increased fines for parking violations. 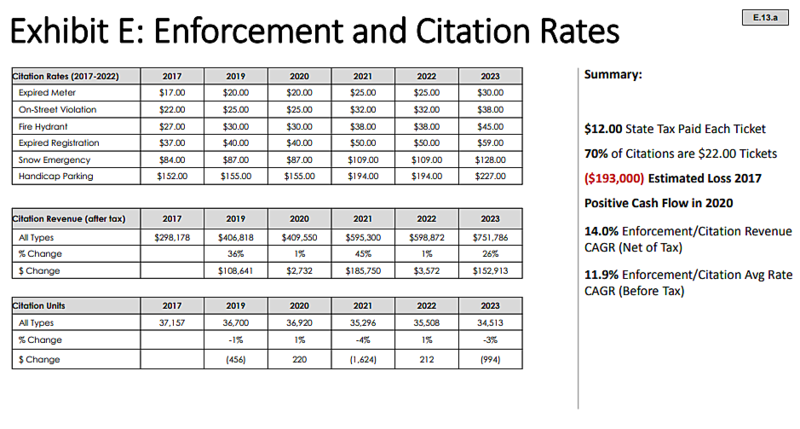 The fines have gone up over the years but that was the result of increases in the state surcharge assessed to parking violations in Minnesota. Did you know the current cost of a parking ticket includes a $12 state surcharge? Rochester’s current penalty is $5. But beginning Monday, the various fines will increase. Parking meter violations will increase from $17 to $20. The cost will rise to $25 in 2021 and to $30 in 2025. Check all the violation fees here. City spokesman Nicholas Lemmer says the City Council approved the increases last year as part of an overall strategy to cover the cost of public parking enforcement, which has been in the red. Also increasing Monday is the cost of a residential parking permit. Lemmer says the application fee for residential permits will increase from $5 to $6 and the annual fee for the permit itself will rise from $20 to $25. Public parking rates (meters, ramps, lots) went up Jan. 1st. And downtown parkers may face a new cost in the future. Lemmer says the city is considering changing the free parking policy that was adopted by the council years ago as a way to help downtown businesses. The policy offers free parking on evenings and weekends, including ramps. Lemmer says the city is considering changing the policy, which could mean an end or changes to the current freebie. One change being looked at is an “event” fee for parking ramps that would kick in during certain events at the Mayo Civic Center. Also being considered is eliminating the "one hour free" policy at city ramps. News Update: Missing St Charles woman found dead.